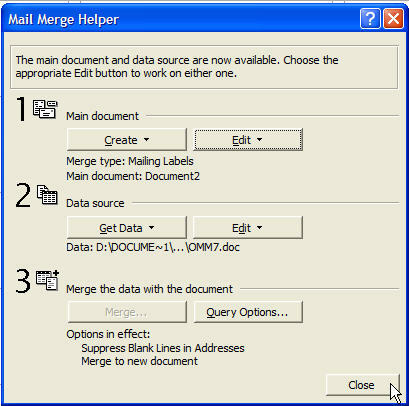 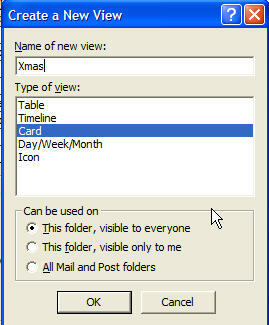 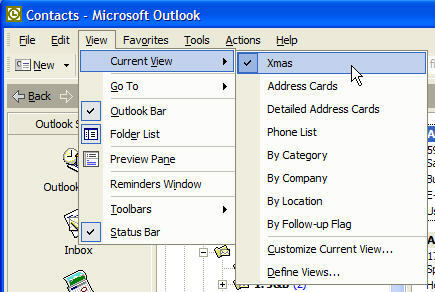 Of course you can use this process for any project that needs to be merged from filtered Outlook data, but since it is the season we�ll use Christmas Labels for our example. 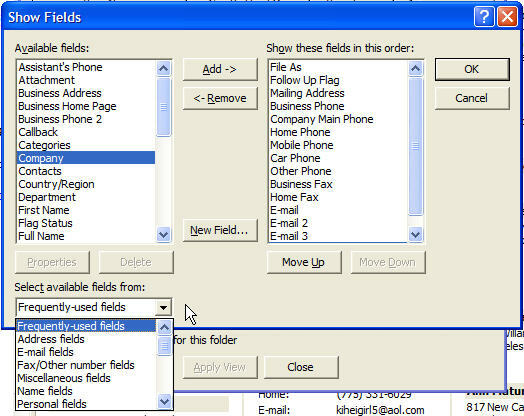 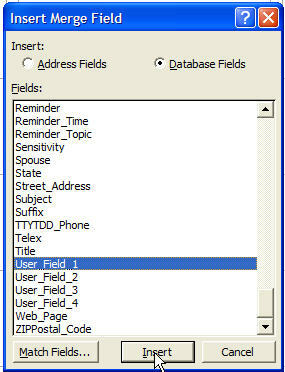 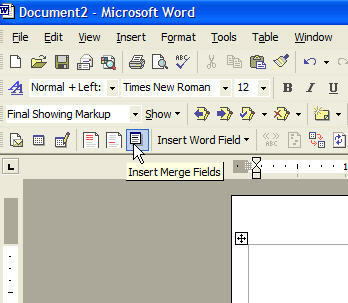 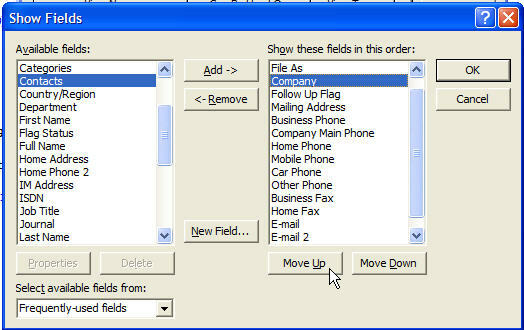 I like User_Field_1 which is where I put the heading for my labels, (you can find it under All Fields when you are editing or adding contact info), such as The HandyAndy Clan or the Goodman Family. 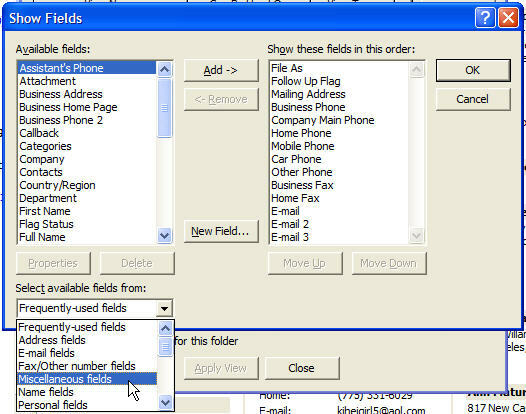 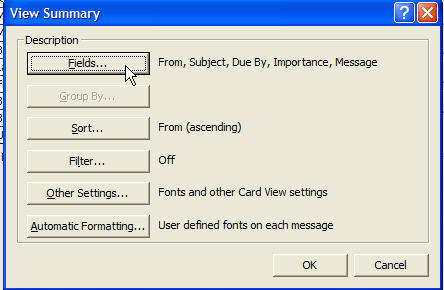 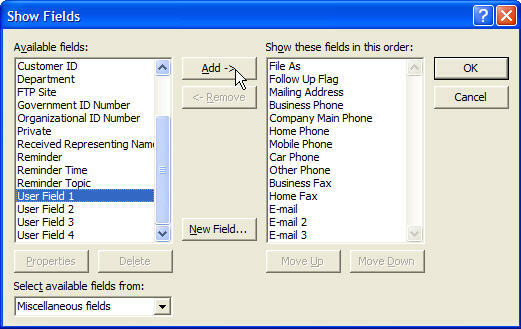 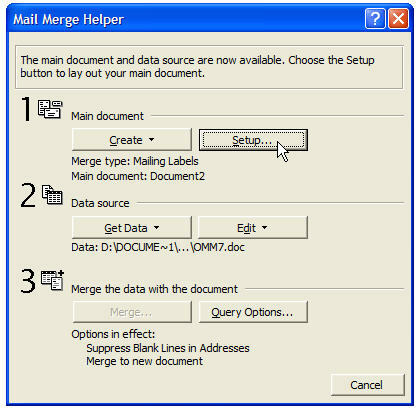 This little trick solves the multiple name fields Outlook uses. 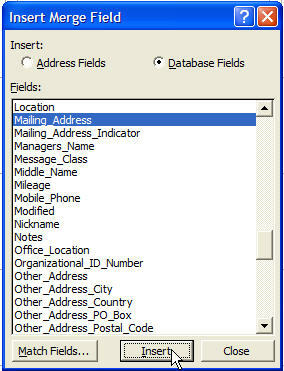 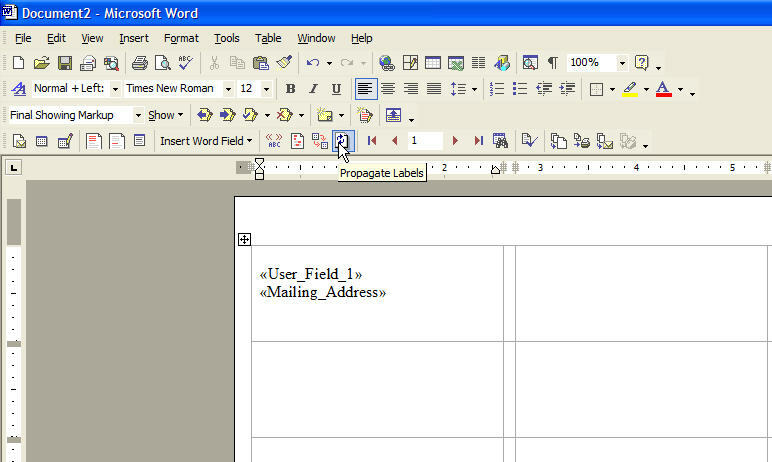 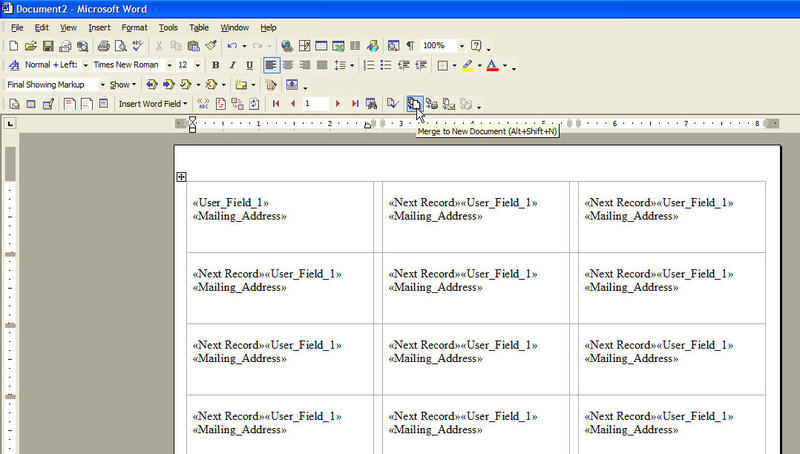 I also use the Mailing_Address field as it saves having to do the address lines individually. 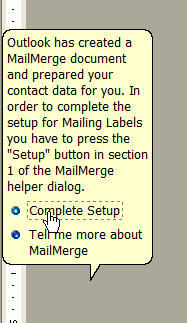 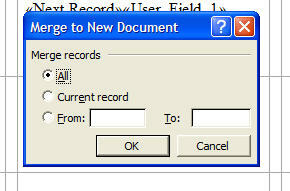 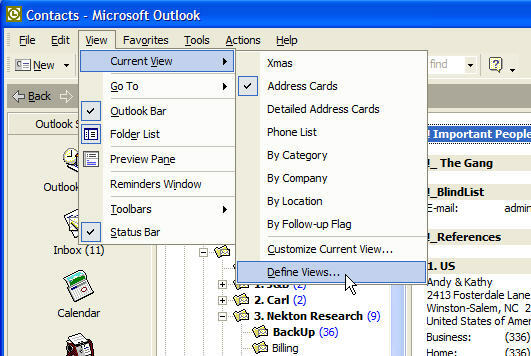 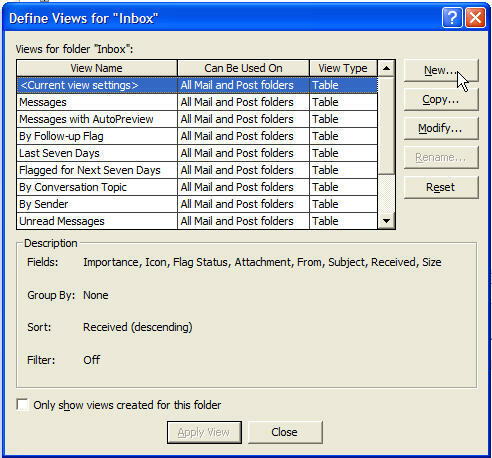 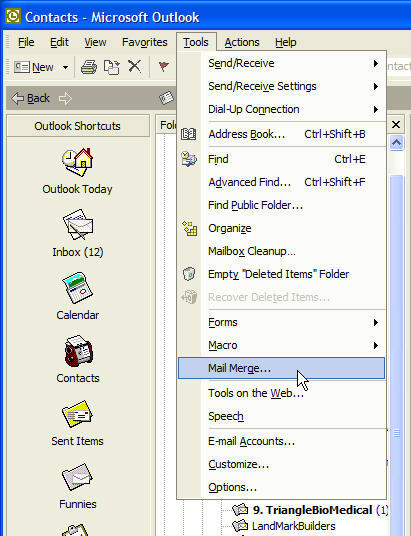 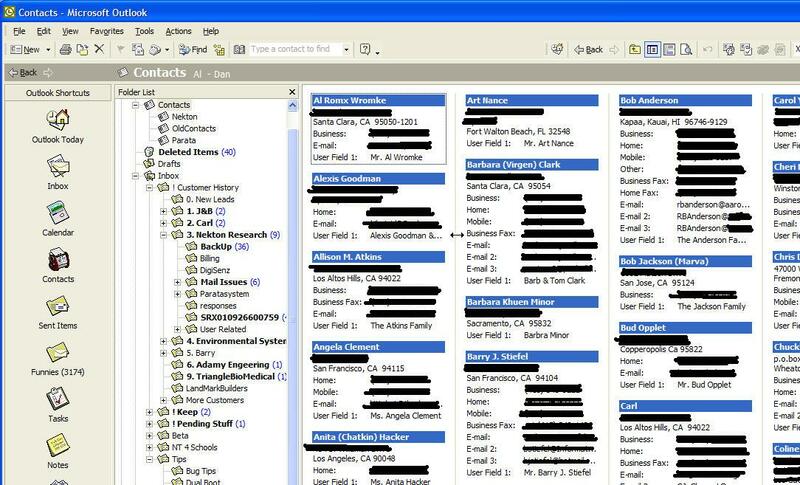 Now tell Outlook to use All records, as we did our filtering with the view. 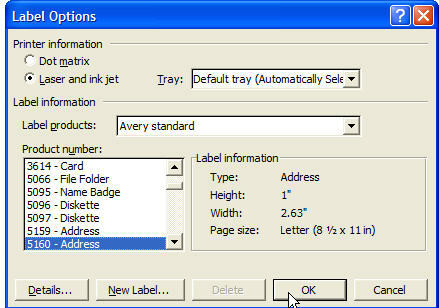 And finally if you like what you see, Print the Labels. 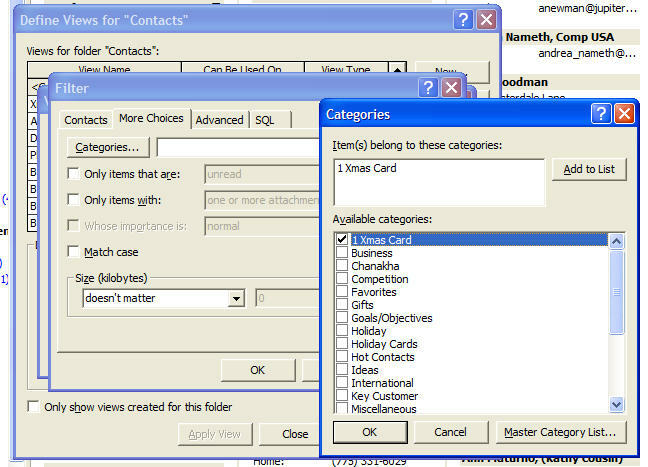 Go to the More Choices tab click the Categories button and select the category to filter by. 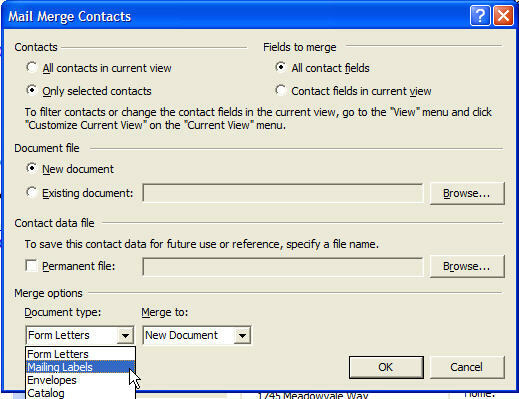 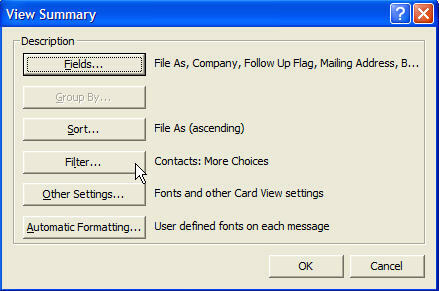 Of course you have to go through your contacts and assign this category to the contacts you want to make labels for.